Welcome to POTIONS FOR BEGINNERS !!! POTIONS FOR BEGINNERS CLASS INTRODUCTIONS FOR AUTUMN OR SPRING TERMS !! I am sure everyone would really enjoy learning a little about each student who has signed up for Potions For Beginners. Why not take a moment and tell everyone a little about yourself , where you are from, which house you were sorted into and what classes you plan on taking this term. I am Prof. Kath Snape , from Hufflepuff House. In RL, I live in California, USA formerly from Rhode Island, USA and I am the mother of 3 adult children. I am also a proud Gramma of a little granddaughter and a little grandson. My oldest daughter got me involved with Harry Potter many many years ago. I came to HOL in July of 2005, became a student, then a student teacher, graduated and now I am honored to be an HOL professor. REMEMBER - SIGN INTO HOL and then you can post your introduction here. If you show up as a guest, then your post will be deleted. WE WILL ONLY DISCOVER EXCELLENCE ON THE OTHER SIDE OF HARD WORK!! Hello my name is Alexander Barnes - Rogers and from Slytherin and I am from Texas. and not only am I a HOL student but I am also a Junior College student. The classes I plan on taking are WOMBAT, Potions, and Charms. Last edited by Sky Alton on Thu Feb 07, 2019 10:32 am, edited 2 times in total. 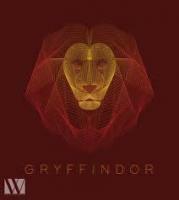 I am Allan Dyson, from Gryffindor House. I live in Nevada (Only information I am showing). I'm in 6th grade and I am taking Charms, A Visit to Diagon Alley, Potions for Beginners (obviously), HOL 101, Herbology.